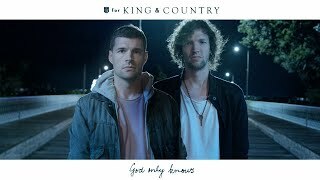 KSBJ Presents: for KING & COUNTRY - burn the ships | world tour 2019 - 89.3 KSBJ God listens. for KING & Country is SOLD OUT! Check out our Concerts & Events page for other great concerts coming up. If you’re in search of a high-energy concert packed with excitement and joy, look no further than the upcoming for KING & COUNTRY concert! On Easter weekend, don’t miss out on the #burntheshipstour in the very intimate Julie Rogers Theater in Beaumont, TX. It’s a rare concert experience you have to see to believe!